Home » Cinema Releases 5 April 2019: Are you ready for Shazam! There’s yet more superhero action this week although this time its not one from Disney. This one comes from Warner Bros. What’s the film? Shazam! However if that’s not your thing fear not as the remake of Stephen King’s Pet Sematary lands in cinemas in both the UK and US as does Shazam! Let’s take a closer look at these two films and the rest of this week’s new releases including movie trailers, so without further ado here are the cinema releases 5 April 2019 for the United Kingdom & USA. Unlike Captain Marvel which divided opinion but still did rather well at the box office, Shazam! seems to have gone down well with fans that have had an early look. Many note it’s an enjoyable film that doesn’t push any real agenda and simply concentrates on being as entertaining as it can be. Fancy that being that best way to make one of these films! Tim Burton’s re-imaging of Disney’s classic Dumbo has not received much praise from fans or critics. Many cite that the film seems to forget to concentrate on the main storyline, Dumbo. That said it managed to interest enough people on both sides of the Atlantic meaning it lands the number one spot at the box office taking over £6m in the UK and $45m in America. There’s yet another Doctor Who new release in this week’s Blu-ray and DVD charts and again its classic Who that people are buying. Doctor Who – The Macra Terror is an animated reconstruction of the Patrick Troughton story. Last week’s charts featured the Blu-ray of Tom Baker’s Doctor Who – The Collection – Season 18. It looks like fans have something to enjoy during these troubling times for the show. In any case it really would be nice to know just how many units the latest series (Jodie Whittaker) sold in comparison to these classic Doctor Who releases. 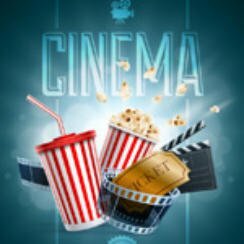 Cinema – Shazam! or Pet Sematary?